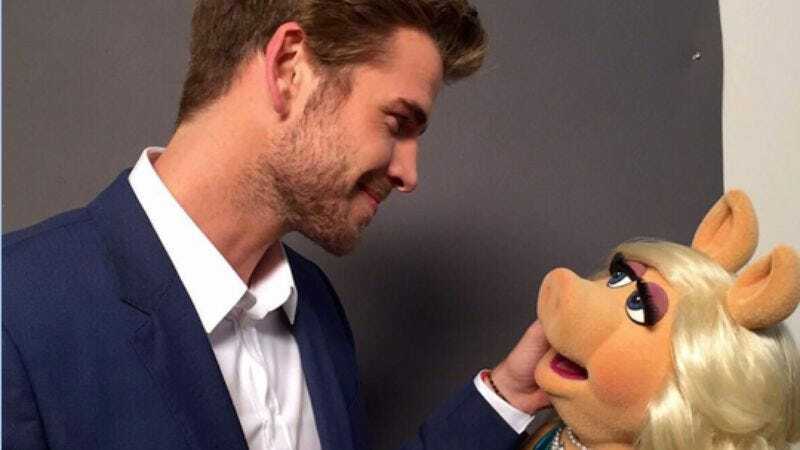 Liam Hemsworth—youngest Hemsworth brother by age and middle Hemsworth brother by fame—is the latest actor to sign up for a guest appearance on ABC’s upcoming Muppets series, according to The Wrap. The Hunger Games actor will play himself on the “more adult” mockumentary series, which follows the Muppets as they produce a late-night talk show. Hemsworth joins the ranks of previously announced guest stars like Reese Witherspoon, Nathan Fillion, Elizabeth Banks, and Topher Grace. It’s all very endearing, and if it doesn’t immediately leapfrog Liam over his brother Chris, it certainly moves him one step closer to the top of the Hemsworth ladder.